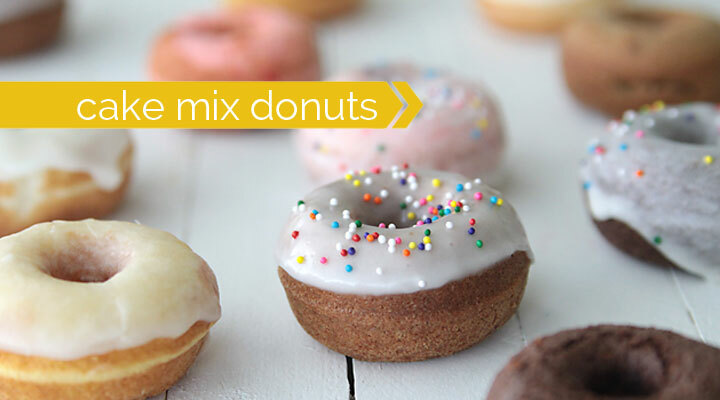 We’ve had our mini donut maker for a couple of years and my kids love making cute little cake mix donuts. 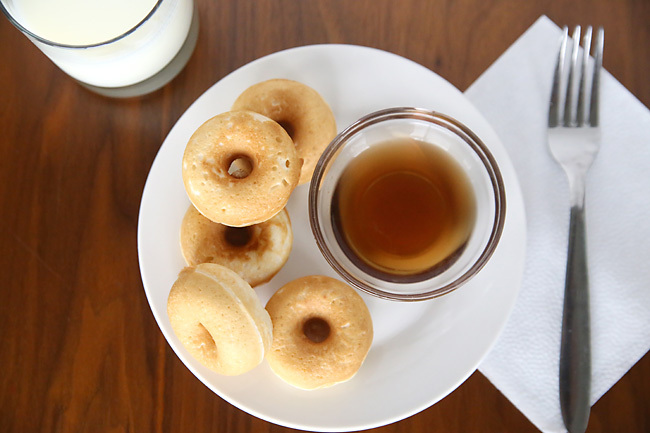 A couple of blog readers commented on that post that they had tried pancake batter in the donut maker, and we just had to see how it turned out. The verdict? A success! 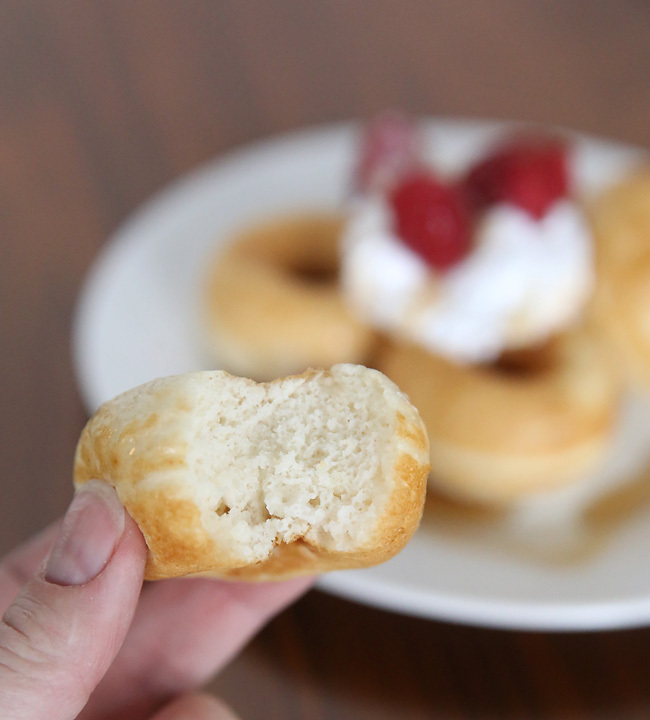 They taste just like a soft pancake, but in donut shape. And apparently that makes them way more fun to eat. 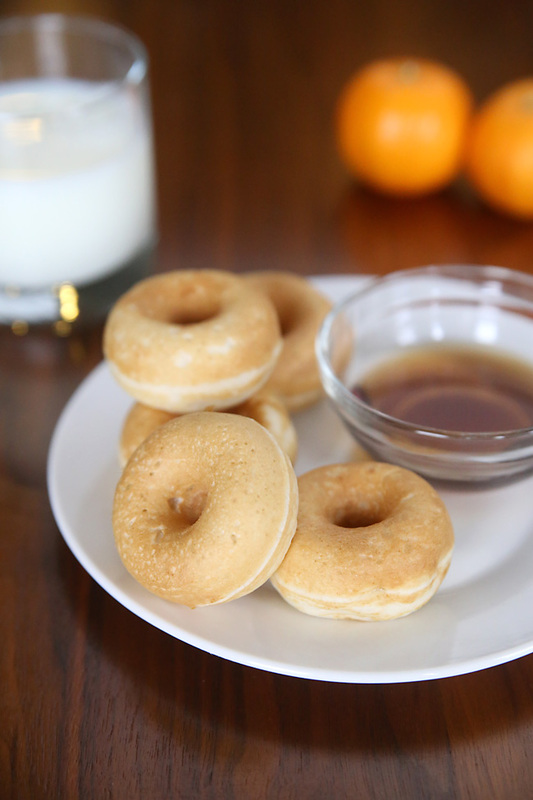 I think it’s the whole dunking in syrup part my kids really enjoy. Much more fun that using a fork, right? 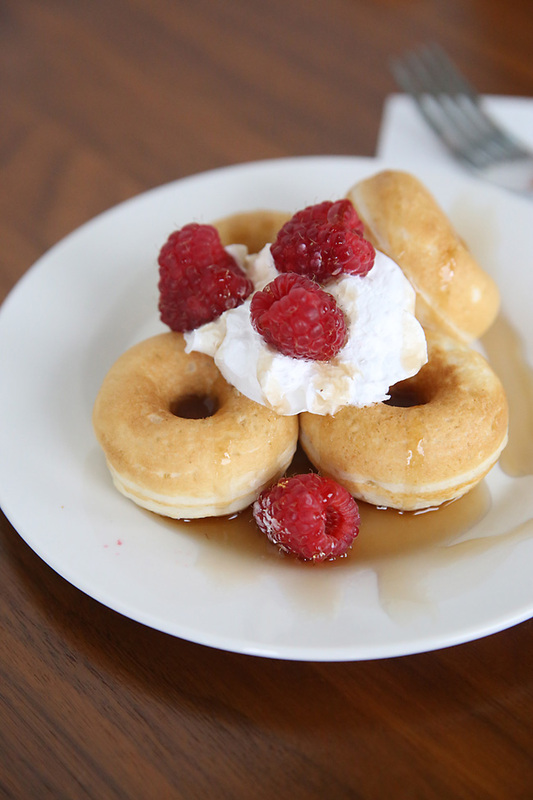 …while I prefer them covered with whipped cream, bananas, and berries. And a little syrup for good measure. Sure, not the healthiest breakfast I’ve ever eaten, but for an occasional treat it’s pretty darn fun. And pancake donuts are actually healthier than traditional donuts because they’re baked instead of fried and have less sugar, too. 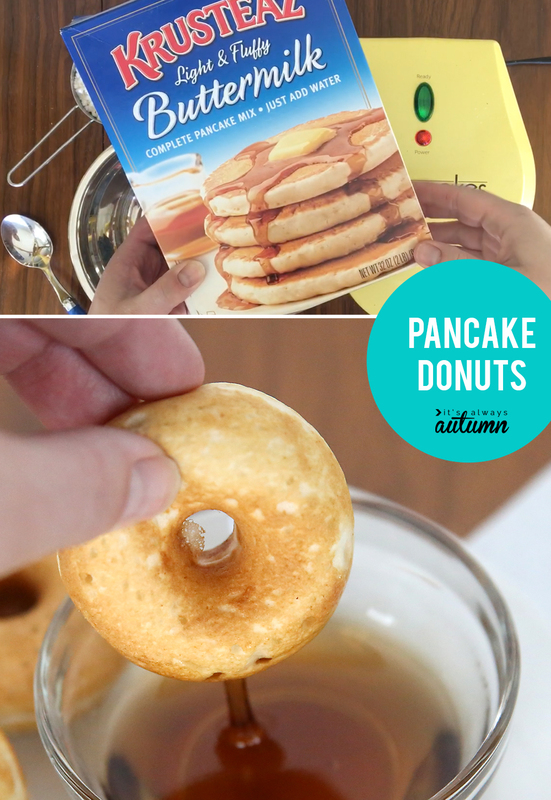 We’ve even tried them using a really healthy whole wheat pancake mix (Kodiak Cakes from Costco – we love them!) and they worked great. Mix pancake batter as directed on the box, using just a smidge less water than called for. Let it sit for a few minutes to thicken. If it’s quite runny, stir in a little more pancake mix. Plug in the donut maker and let it warm up. When it’s ready, open it up and give it a quick spritz of nonstick spray. Spoon the pancake batter into a ziplock bag and cut off one corner. “Pipe” the batter out of the bag, filling the bottom wells of the donut maker. Close and let cook for 3 full minutes. Sometimes the “done” light comes on prior to this, but I found they usually need three full minutes. If they stick when you try to remove them, they probably need a few seconds longer. 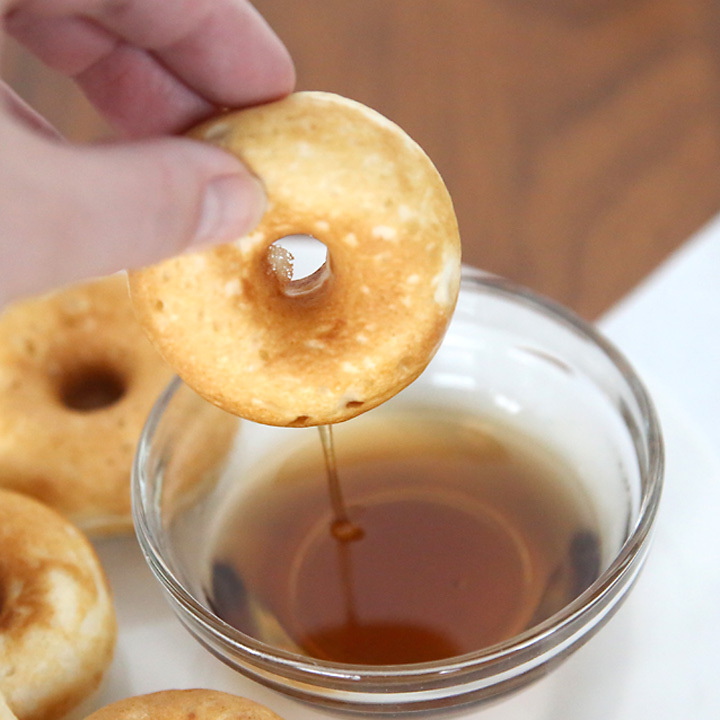 Use the included tool (or a fork) to remove the donuts, then repeat with another batch until all your batter is cooked. I found I only needed to add more nonstick spray about every 3 batches. One cup of mix made about 7-8 donuts. They’re small, but they end up slightly denser than a normal pancake so they’re a bit more filling. YUM!! Those look delicious, what a great idea! Oh man! This is so genius! And it sounds amazing! With whipped cream and raspberries, you really can’t go wrong! Thanks for the tip! Great idea for my breakfast tomorrow, I will try this for my kids. Thank you for sharing this recipe!